The California-based company claims the electric hypercar will reach over 240 mph if it goes into production. More lesser-known companies are starting to unveil pure electric hypercars with ambitious power figure claims lately – but even Rimac had to start somewhere, and now the .The latest member of the 1,000-hp+ hypercar club comes from Southern California-based company Rice Advanced Engineering Systems and Research (RAESR): feast your eyes on the extreme Tachyon Speed, an electric hypercar with huge ambitions that could potentially rival Rimac. This extreme all-electric hypercar utilizes six direct-drive electric motors that send 1,250 hp and 3,650 lb-ft of torque to all four wheels. It’s been in development since 2012 and its name is derived from the hypothetical particle that moves faster than light. Thanks to a carbon fiber bodywork, the Tachyon tips the scales at just 1,338 kg. 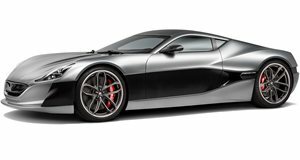 Combined with its potent performance, this enables the electric hypercar to accelerate from 0-62 mph in under three seconds, 120 mph in less than seven seconds, and a top speed exceeding 240 mph. Yes, that’s theoretically faster than the Rimac Concept One. The styling is said to be inspired by a jet fighter, though it could easily pass as a Batmobile. Adjustable active rear wings and four fixed front wings provide varying levels of downforce. In low downforce mode, it delivers 400 lbs of downforce, but with a few tweaks that figure increases to 1,000 lbs in high downforce mode. There’s also a splitter at the front and a large diffuser at the back. When not attempting speed runs on the track, the company claims the car has a range of over 150 miles during city driving. Whether the Tachyon Speed makes it into production is another matter as the car shown in the official video is just a prototype for now, but the project is undeniably ambitious. We'll certainly be keeping an eye on its progress.